The Australian flag bearer for the 2018 Commonwealth Games opening ceremony, Knowles was honoured by being named the Young Player of the Year in 2007 by the International Hockey Federation. He was also named the 2014 World Player of the Year following on from his performances at the 2014 Hockey World Cup. 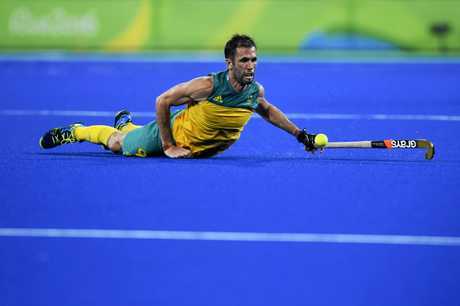 A four-time Olympian, he was the Kookaburras captain from 2014 until retiring this year. Knowles made his international debut in 2004 and at 20 became the youngest in the team to win Olympic gold when Australia defeated the Netherlands at Athens to claim their first ever Olympic title. He was part of the 2010 and 2014 World Cup winning sides and has three Commonwealth Games gold medals. Knowles is originally from Rockhampton and is the brother-in-law of Australian team mate, Jamie Dwyer. He played for the Queensland Blades in the Australian Hockey League and in the Netherlands for HC Rotterdam. Cooper won the 400m freestyle gold at the 1972 Summer Olympics in Munich. He had finished second by the smallest margin ever to decide an Olympic swimming final (one hundredth of a second), but was later awarded the gold medal after the victor, American Rick DeMont, an asthmatic, was disqualified for taking the banned stimulant ephedrine. Earlier in the year Cooper hit the headlines when he broke the 800m freestyle world record. Within a month, at the Australian Championships in Brisbane, he won the 400m and 1500m freestyle events and the 100m and 200m backstroke, showing versatility over a large range of distances. This included a world record in the 400m freestyle, while his 1500m freestyle time was only 0.6s outside the world record. At the 1974 Commonwealth Games in Christchurch he set a new Australian record in the 200m backstroke to win gold. Born in Bundaberg in 1916, he was the wicket-keeper on Don Bradman's 1948 touring side known as The Invincibles and was recognised as one of the Wisden Cricketers of the Year in 1949. He learned to play on a backyard wicket with his three brothers and father Les, an iron moulder at the Bundaberg foundry. He was captain of his school team at the age of 11 and rose to become captain of Queensland Schoolboys aged 13. He made his debut for Queensland at 17 against Victoria in December 1933, having never previously attended a first-class match as a spectator. Tallon made his Test debut in a one-off Test against the Kiwis in 1946 and his catch to dismiss Len Hutton in the Fifth Test at The Oval in 1948 on Bradman's Invincibles tour was described in Wisden as the best of the year. Chris Scott won 10 Paralympic cycling medals, including six gold. Born with cerebral palsy in Gympie in 1968 he attended Salisbury State High School in Brisbane and it was there where he became involved in the Sporting Wheelies. He won 10 Paralympic cycling medals, including six gold medals. And he held two different world records. Scott first competed at the Paralympics in 7-a-side Football at the 1988 Seoul Games. He competed in athletics in the 1992 Paralympics in Barcelona. He switched to cycling due to a broken ankle and won three gold medals at Athens in 2004. If there is one moment that defines the man widely known as ``Gecko'' it was his extraordinarily selfless gesture in the men's sprint at Athens. Having helped his team qualify for the final he relinquished his place so a teammate could win gold. "I already had my gold ... it's what you do in a team," he said. A plucky, livewire Australian and Queensland representative halfback, he played 22 Tests between 1959-64, and was twice captain. He was a nightmare for referees and went on to coach the Queensland side between 1974 to 1978 when he coined the term ``Cockroaches'' for NSW. Muir represented Queensland Schoolboys in 1951 and made his first grade debut in 1956 with the Tweed Heads Seagulls. He played in 1957 with Valleys in Toowoomba before joining Brisbane's Western Suburbs in 1958. He stayed with the club for 11 seasons as captain-coach before becoming captain-coach with Ayr and he finished his playing career as captain-coach in 1971 at Tweed Heads where his career had started. In 1959, Muir debuted for Queensland against New Zealand and on the 1959-60 Kangaroo tour he appeared in all 6 Tests and 14 minor Tour matches. He did the same on his second Kangaroo tour four years later. Born in Townsville, she won successive gold medals with the Hockeyroos in 1996 and 2000. For her first success in Atlanta she was known by her maiden name of Farrell, but changed to Garard after her wedding before the Sydney Olympics. The Queenslander was one of the core members of the Hockeyroos that dominated international competitions during the late '90s. She was co-captain of the team in Atlanta. Her stamina, stick work and ability under pressure were features of her outstanding career. Renita was also captain of the 1983 silver medal-winning junior World Cup team. She later became Chair of the Hockey Australia Athletes Committee and as an Executive Member the International Hockey Federation and had a powerful business career with Directorships with PwC Australia, LifeTec and Townsville-Mackay Medicare Local. In 2015 she was appointed Chair of the Port of Townsville. Co-captain of the world champions and Olympic gold medal-winning Australian women's hockey team, she was also captain of the Queensland Scorchers in 1995-96. Born in Maryborough, her precision passing and dynamic short corner strike made her a dominant player in world hockey. Morris won successive gold medals with the Hockeyroos in 1996 and 2000. Her work as a defender was complemented by her ability at penalty corners, where she proved a major weapon for the team. 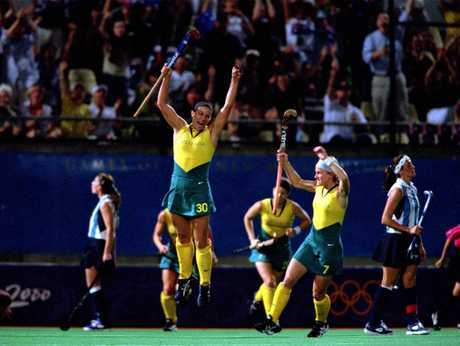 Both gold medal finals in which Morris participated were won by the same score: the Hockeyroos beat South Korea 3-1 in 1996 and defeated Argentina 3-1 in 2000, thus becoming the first women's hockey team to successfully defend an Olympic title. Morris scored the third goal for the Hockeyroos in the Sydney final. She is one of the few women to have won two gold medals in the sport at Olympic level. He played with Mareeba United in the Queensland State League at 16 and played with the Canberra Arrows, Sydney City and Club Marconi before playing in Belgium, France and Italy. In Australia, he twice won Player of the year, Leading Goal Scorer of the Year and Most Entertaining Player. In Belgium he won the best foreign player, as well as the Leading Goal Scorer award in 1991. He represented Australia on 86 occasions. In 1996-97, he became player-coach of the Strikers and guided them to victory in the NSL Grand Final in May 1997 when they defeated Sydney United 2-0 before a record crowd for a domestic game at Brisbane's Suncorp Stadium. He was appointed as the first Australian-born coach of the Socceroos in August 1999 and led them to 18 wins, 5 draws and 8 losses, including wins over France and Brazil. One of rugby league's most popular players, in 2009 the 193cm, 116kg powerhouse broke the record for most international matches for Australia of any forward. Civoniceva played his club football for the Brisbane Broncos, winning the 1998, 2000 and 2006 NRL Premierships, as well as for the Penrith Panthers, where he was captain. Late in his career while playing for his first junior side, the Redcliffe Dolphins in the Queensland Cup, he captained the Fijian national team in their 2013 Rugby League World Cup campaign. The Petero Civoniceva Medal is awarded to the Australian Fijian rugby league player of the year, while the Civoniceva Medal is awarded to the Queensland Cup player voted as the best and fairest. Born in Suva in 1972, his parents moved to Redcliffe while Petero was still a baby. He attended Humpybong State School, then Redcliffe State High School and Southern Cross Catholic College. Centre partner for Mal Meninga in the Queensland Team of the Century, Gorman played for Queensland from 1921-30 and for Australia (1924-30). He was the first Queenslander to captain Australia, leading his country seven times, including the 1929-30 Kangaroos tour. Born in Charters Towers, he began his senior career in Toowoomba before moving to Brisbane in 1926. He was a rugby league artist who beat opponents with acceleration and swerve. A member of the Queensland team that beat NSW in five consecutive interstate series from 1922-26, he captained Queensland to a series win in his final season in 1928. His first Test as captain against Great Britain in Brisbane in 1928 was the first time the Australians wore green and gold, having previously played in a merged maroon and blue of Queensland and NSW. Originally an Ironman competitor, he only switched to sprint racing in 1999 at the age of 16. Two years later he was the K-1 1000m Junior World Champion in Curitiba, Brazil. Wallace was selected to represent Australia at the 2006 ICF Canoe Sprint World Championships in Szeged, Hungary, where he placed fifth in the K-1 1000m final. In 2007 at the World Championships in Duisburg, Germany he placed 4th in the K-1 1000m Final and qualified for a berth at the 2008 Olympic Games. There Wallace shone, winning gold in the K-1 500m and bronze in the K-1 1000m events. He followed that success with bronze in the K-1 500m in the 2009 World Championships at Dartmouth, Canada and gold at the World Championships in the K-1 5000 at Poznan, Poland. 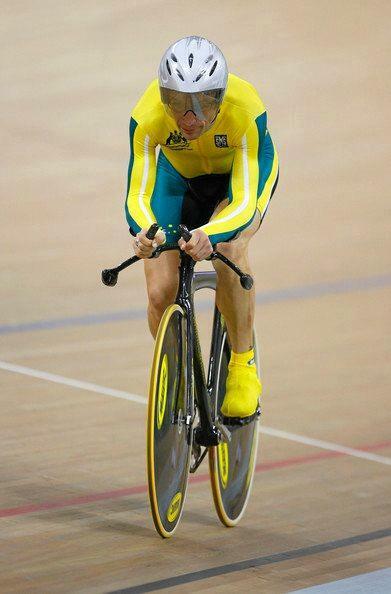 He was awarded the Order of Australia in 2009 and won 5 more world championships after that. Jason Akermanis, left, was a superstar for the Lions. Outspoken and provocative, it was often said he was the best kick in the competition right foot, and the second-best kick in the competition left foot. With ball in hand the tearaway midfielder was pure artistry and through a record-breaking 16-year career he did it his way. Born in Mildura, Victoria, he arrived in Brisbane aged 9 and immediately signed to play for the Mayne under-10s side. He was educated at Wavell State High and Nudgee College. At Mayne he was spotted by Brisbane Bears talent scouts. He completed year 12 at high school (aged 18) during his first year with the Bears. 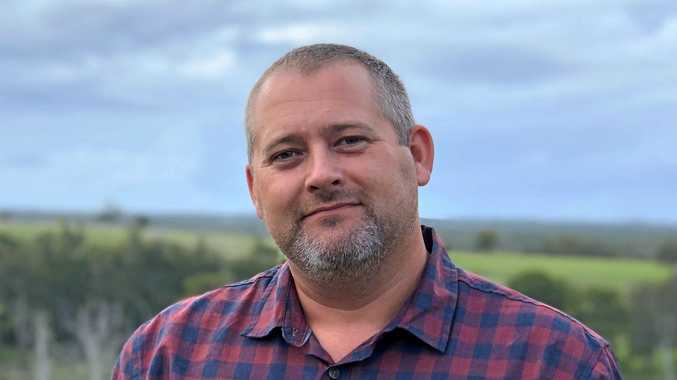 He played for the Brisbane Bears/Lions and the Western Bulldogs from 1995-2010, and was a pivotal member of the Lions' triple premiership team of 2001-03. He won the Brownlow Medal in 2001, was a four-time All-Australian and represented Australia with distinction in the International Rules series. Wayne "Rabbit" Bartholomew finished his career with nine Top 3 finishes in World Championships, including 3 wins, 3 seconds and 3 thirds. He was ensconced in the World Top 5 for 10 consecutive years. After retiring, he fulfilled his vision by taking the helm of world professional surfing, becoming CEO of ASP International for four years and President for 10. His World Surfing Championships came in 1978, 1999 (ASP world masters) and 2003 (ASP world grand master). 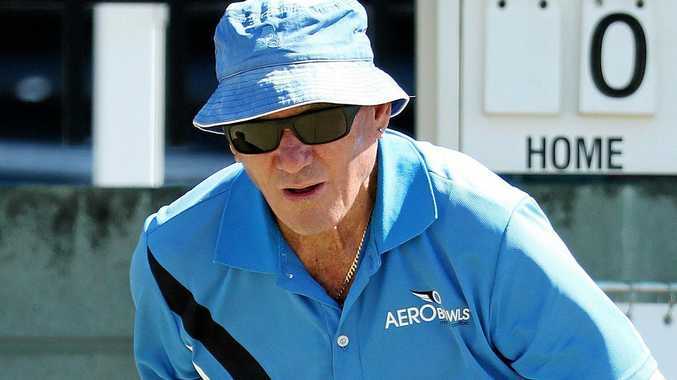 Born in Tweed Heads in 1954, Bartholomew was inducted into the Queensland Sport Hall of Fame in 2009 and is also a member of the Sport Australia Hall of Fame. He was given the nickname ``Rabbit'' when he was young because of his speed as a soccer player, and because he was missing all but his two front teeth. Gunnedah-born but a long time Gold Coast resident Carrigan started competitive cycling in 1996 at 15 and just two years later, was in her first Australian Team for the 1997 Oceania Championships in New Zealand. She remained a permanent fixture on the Australian cycling scene for the next 11 years, representing at Olympic and Commonwealth Games and World Cups, with the highlight her Athens 2004 Olympic gold in the Women's Road Race. She also scored National Championship time trial wins in 2002 and 2003 and gold in the 2003 World Cup Road Race in Australia. In 2009 Carrigan was inducted into the Queensland Sport Hall of Fame and in 2015 was an inaugural inductee at the Cycling Australia Hall of Fame. She was awarded the Order of Australia Medal in the 2005 Australia Day Honours List. Other awards include Australian Female Road Cyclist of the Year in 2002-2004. Born in Nambour in 1960, Baker-Finch began his professional career on the Australasian Tour in 1979. He based his game on Jack Nicklaus' book, Golf My Way. He won his first professional tournament, the New Zealand Open, in 1983. From 1983-93, he won 16 titles worldwide, including tournaments on all four major tours and the 1991 British Open at Royal Birkdale where he closed with a 64-66 to beat Mike Harwood by two strokes. He represented Australia in the 1985 World Cup, four World Tours Championships from 1985-91 and the Dunhill Cup in 1989 and 1992. He also served as Vice Captain for the Internationals Presidents Cup Team in 1996 as well as the Assistant Captain for the 2003 and 2005 Internationals Presidents Cup Team. Since retiring from PGA Tour competition in 1997, Baker-Finch has worked as a golf analyst around the world. A champion of Australian rowing for 20 years from 1991, he paired with Drew Ginn at the 2008 Beijing Olympics to win gold in the coxless pairs. Free was then aged 35 and the success came 17 years after he debuted on the world stage. The Tasmanian-born oarsman competed in four Olympic Games and 10 consecutive world championships after moving to the Gold Coast as a 10-year-old in 1983. The son of Reg Free, a former Australian rowing representative and Tasmanian Sports Hall of Famer, he won an Olympic bronze medal in the quad sculls at Atlanta in 1996, and world championship bronze medals in double sculls in 1997 and quad sculls in 1999. He was on track for a fifth Olympic appearance in London in 2012 but was forced into retirement after being hit by a car while cycling in 2011. 3 V8 Supercar championships, 7-times winner of the Bathurst 1000. Lowndes began racing at nine, driving go-karts at a track at Whittlesea, Victoria. At 20 he drove a Holden Commodore with Brad Jones that ran second in the 1994 Sandown 500 in Adelaide. Two decades at the forefront of Australian motor racing followed. 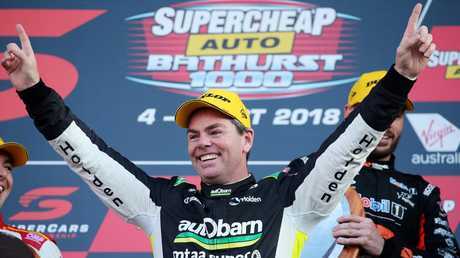 In 1996 he and Greg Murphy combined to win the Bathurst 1000 and 22 years later Lowndes won his seventh title there this year with Steven Richards. To go along with his first win at Bathurst, Lowndes also won that year at Eastern Creek, Sandown, Symmons Plains, Lakeside, Barbagallo and Mallala to take out the first of his three Australian championships. Other titles followed in 1998-99. It wasn't just hot Holdens and Fords that Lowndes powered around the Bathurst circuit, either. He has won there in Ferraris and once hit 310km/h as the first-ever Australian to pilot a Formula 1 car around Mount Panorama. In 2012 he was hit by car and the car came off second best. Brown was that tough. The Brisbane Lions centre half-forward was on an early morning training ride through the Tallebudgera Valley when his bike was hit by a car going through a roundabout. Brown flew on to the car's bonnet with his elbow smashing the Hyundai's windscreen. Pieces of his flesh were imbedded in the shattered glass and he received 10 stitches. He called the crash a ``little hiccup''. Born in Warrnambool, Victoria in 1981, the 195cm, 105kg strongman was a tower of strength in the Lions' three premierships of 2001-3 and won the Coleman medal in 2007 for most goals in a season (77). He was Lions skipper 2009-12. As a youngster he was also a left-arm fast bowler invited to play in the Victorian under-17 squad. 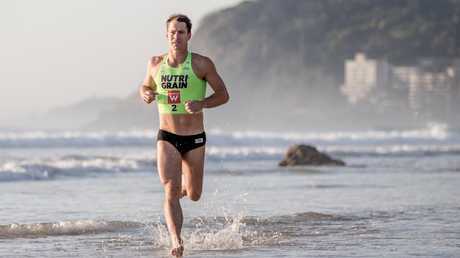 Widely regarded as the greatest ironman of all time, the 35-year-old has dominated the competition since 2002 when he won his first Nutri-Grain championship, following it with his first Australian championship the next year. He's nicknamed The Professor for his ability to pick a race apart, piece by piece, as if he's ticking off the items on another of his to-do lists. He is holding out hope for a miraculous recovery from a major calf injury in a bid to make a championship farewell at the Australian titles at Broadbeach in April. He and brother Caine Eckstein, who has won the Coolangatta Gold Ironman event five times, were inspired to success by their dad Billy Eckstein, who spent 17 years as a lifeguard at Kurrawa Beach. It's where Billy and his wife Donna fell in love and where he died suddenly of a heart attack aged 53 in 2006. Parrella learnt to play bocce on the backstreets of Naples but it was after he moved to Brisbane aged 10 that he first played lawn bowls. He became the first Australian bowler to win an individual Commonwealth gold medal - at Auckland in 1990. Parella was a long-term archrival of Englishman David Bryant and lists his greatest ever thrill in the game as beating Bryant to reach the finals in Auckland. A colourful character who perfected the fast drive, Parrella came to prominence with a silver medal in the 1982 Brisbane Commonwealth Games. Despite this success he fell out of favour with the Australian selectors and it was not until 1989 that he represented his country again. At the 1990 Commonwealth Games in Auckland he won the singles gold and in the 1994 Commonwealth Games in Edmonton, Canada, he won bronze. premium_icon Ed's desk: How will Bundy fare in Qld's top 100 athletes?